Harman has joined with IBM and other suppliers to develop and approach to cyber security that will provide in-depth security for the connected car market. 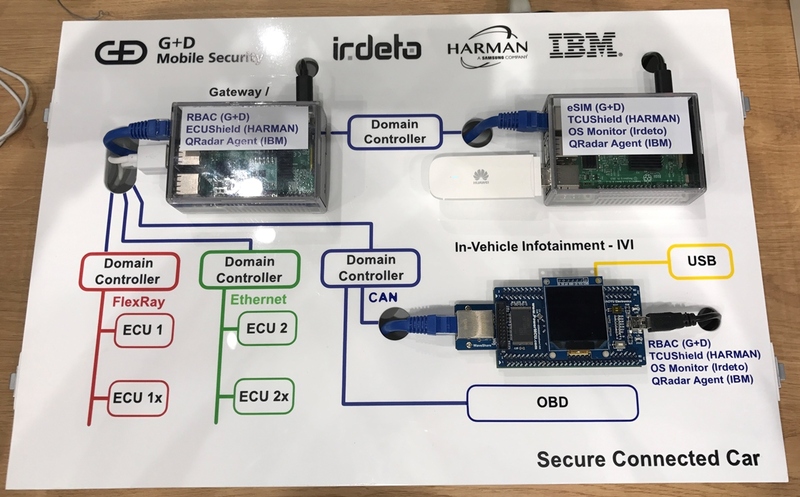 Harman is collaborating with IBM, G+D Mobile Security and Irdeto to present a multi-vendor automotive cybersecurity approach for OEMs and fleet managers. At the IAA New Mobility World in Frankfurt, the companies are demonstrating how Harman’s SHIELD Platform can be integrated with the IBM QRadar Security Intelligence Platform, Irdeto’s ECU protection product – Cloakware Secure Environment and G+D’s Automotive Security Management Framework to cyber-shield connected cars. As part of Harman’s ongoing commitment to keep connected cars protected against cyber-attacks, such as ransomware attempts, the integrated system brings together four products to deliver complete visibility, detection and mitigation capabilities. Harman and IBM recently combined their respective SHIELD and QRadar platforms in June 2017 to deliver an end-to-end system that offers on-board detection and mitigation of a range of security threats, along with a robust backend analysis and forensic system. G+D’s Automotive Security Management Framework (ASMF) is a dedicated security management platform to provide security provisioning services for various connected car and mobility use cases. By adding Secure Environment, a component of Cloakware for Automotive by Irdeto along with G+D’s Automotive Security Management Framework (ASMF), these capabilities will be expanded and enhanced, allowing OEMs and fleet managers to establish a strong security foundation in their vehicles from the start.